These high polish achievement engraved star medals are available in gold, silver or bronze, and include up to 50 characters engraved free to personalise your medal for your own event. Additional letters are charged at 15p a letter and the star medals are engraved in a standard block font. The star medals are 54mm. 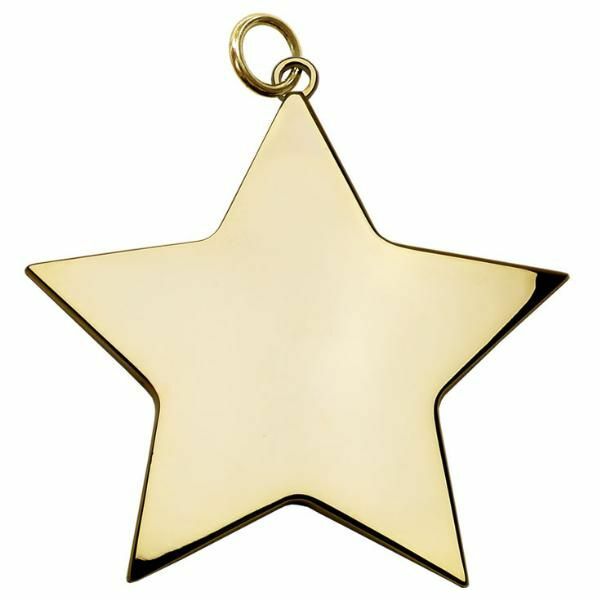 Choose if a gold, silver or bronze engraved star medal is required when ordering. Options and pricing for a medal ribbon are also available at checkout. The postage rate for the boxed engraved star medal is band A.